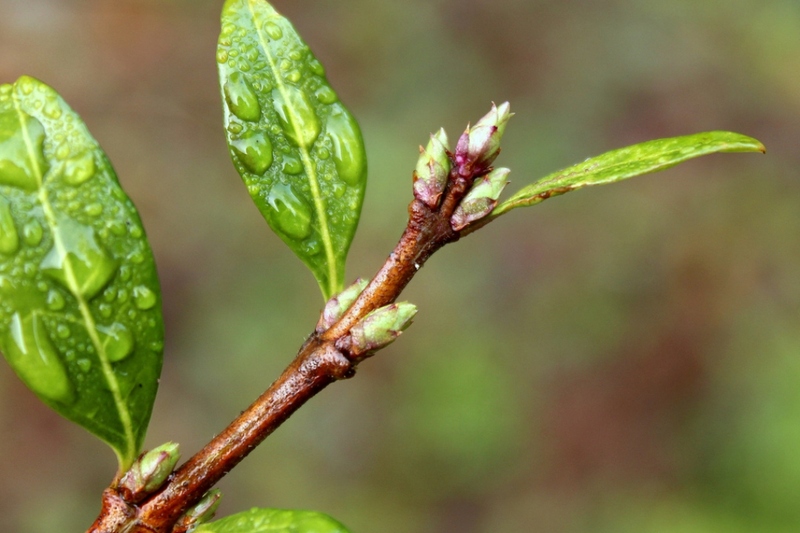 Privet Honeysuckle (Lonicera pileata): growing, planting, caring. Lonicera pileata - box-leaved honeysuckle or privet honeysuckle - is a species of honeysuckle native to central and southwestern China. It is a low, ground-covering shrub growing to 1 m tall. 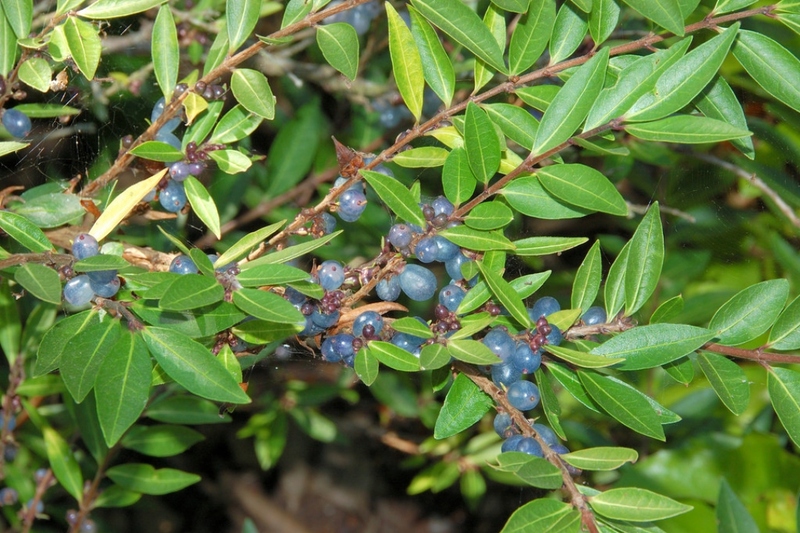 The leaves are small, 1–3 cm long, glossy, and evergreen in mild winters. The flowers are white, tubular, and borne in spring, followed by purple berries. 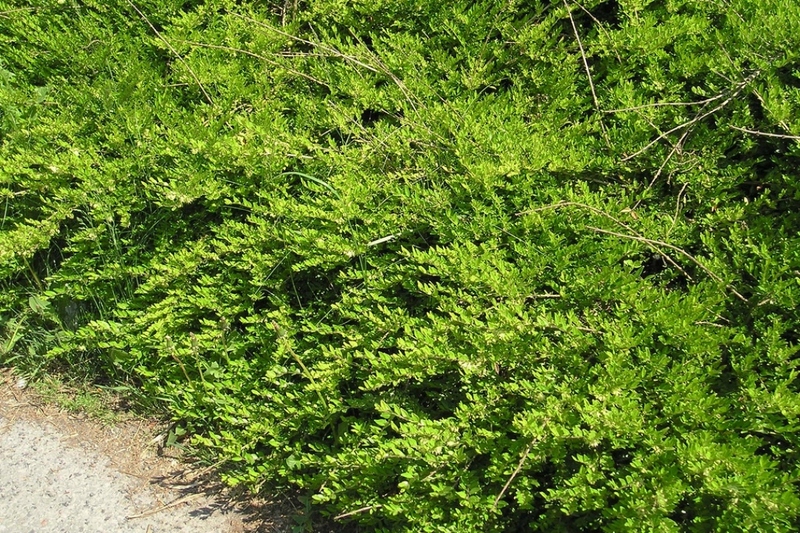 Honeysuckle is a climbing shrub — or a creeper! — which produces both red berries and flowers well known for their fragrance in spring. There are over 200 varieties of honeysuckle, both perennial and deciduous varieties. Wild honeysuckle loves climbing up trees. Like other creeping plants, honeysuckle is a choice habitat of birds, and helps certain insects and small mammels to move around trees. Honeysuckle is grown in most climates and it appreciates sunny but non-scorching situations. It is also easy to grow in pots. Like the clematis, honeysuckle appreciates having its head in the sun and its "feet" in the shade. A semi shaded situation is suitable. 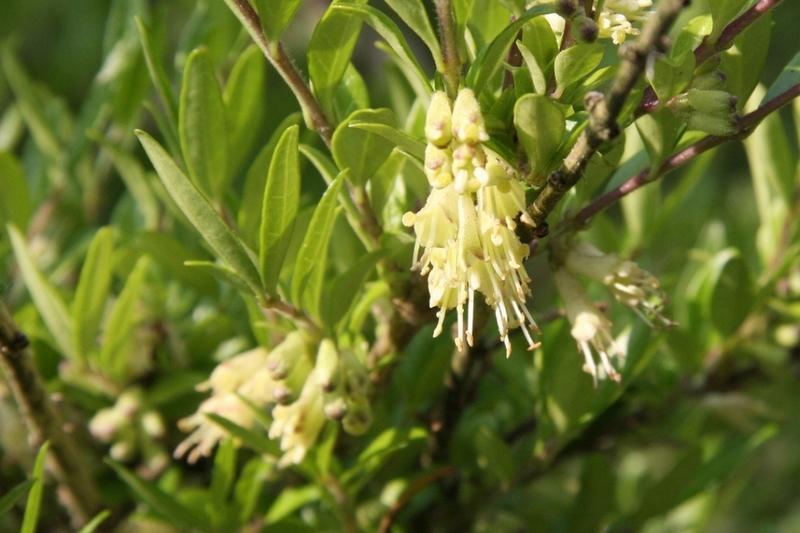 A woodland plant in its natural habitat, honeysuckle requires cool soil, even in summer. Plant in autumn, or until spring, out of frost and heat. Dig a hole equivalent to 2 times the height and width of the root ball. Lightly scratch the root ball to aerate it. Place the root ball in the hole so that the base of the plant is elevated a few centimeters above the ground. Fill the hole with a mix of potting soil and garden soil. Water generously then tamp slightly. The honeysuckle is quite sturdy once installed. However, it can be a victim of a fungus, powdery mildew, which is characterized by a white or gray layer on the leaves. It can also be invaded by aphids: the leaves curl, and if you look under leaves you see some parasites of green or brown color! At the first signs of attack, take out the baking soda! Because of its basic pH, baking soda prevents the formation of spores of the fungus. Dilute 1 to 2 teaspoons of baking soda per liter of water and add 1 teaspoon of liquid Marseille soap or milk - which will allow the solution to hang on the leaves. Spray this solution under and on the leaves and renew after any heavy rain.